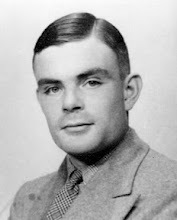 Alan Turing is best known as the father of theoretical computer sciences and for his role in cracking the Enigma encryption codes during World War II. He was also interested in mathematical biology and published a theoretical rationale for the self-regulation and patterning of tissues in embryos. The so-called reaction-diffusion model allows mathematical simulation of diverse types of embryonic patterns with astonishing accuracy. During the past two decades, the existence of Turing-type mechanisms has been experimentally explored and is now well established in developmental systems such as skin pigmentation patterning in fishes, and hair and feather follicle patterning in mouse and chicken embryos. However, the extent to which Turing-type mechanisms control patterning of vertebrate organs is less clear. 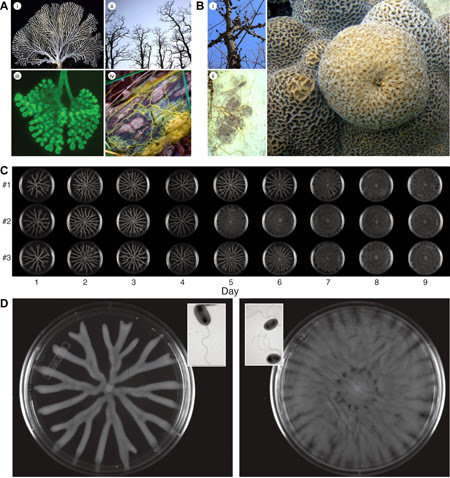 Often, the relevant signaling interactions are not fully understood and/or Turing-like features have not been thoroughly verified by experimentation and/or genetic analysis. Raspopovic et al. (1) now make a good case for Turing-like features in the periodic pattern of digits by identifying the molecular architecture of what appears to be a Turing network functioning in positioning the digit primordia within mouse limb buds. Most researchers today believe that each finger forms because of its unique position within the early limb bud. However, 30 years ago, developmental biologists proposed that the arrangement of fingers followed the Turing pattern, a self-organizing process during early embryo development. Raspopovic et al. (1) provide evidence to support a Turing mechanism (see the Perspective by Zuniga and Zeller). They reveal that Bmp and Wnt signaling pathways, together with the gene Sox9, form a Turing network. The authors used this network to generate a computer model capable of accurately reproducing the patterns that cells follow as the embryo grows fingers.